Acupuncture originated thousands of years ago and is used to help treat a variety of conditions, including but not limited to pain. Chinese herbal formulas and acupuncture (puncturing of the skin with very small needles) may be used to stimulate the body's ability to heal. Cupping and moxibustion are other treatments that are offered. Very thin, small needles are inserted on points along meridians which circulate energy through the human body. These points help stimulate the body’s natural healing abilities by connecting the body’s internal organs and extending over the exterior of the body linking the body as a whole. The needles influence the flow of energy to the internal organs to help affect their function. The meridian system is thought of as a distinct system of it’s own and a dysfunction in the flow of energy through the meridians can cause illness. Acupuncture helps balance the flow of energy to help the body heal itself. Acupuncture needles are extremely thin and patients often say that they don’t notice anything after the needles are inserted. Often patients say the initial needle insertion feels a little like a mosquito bite. During the treatment patients often become very relaxed and some fall asleep. 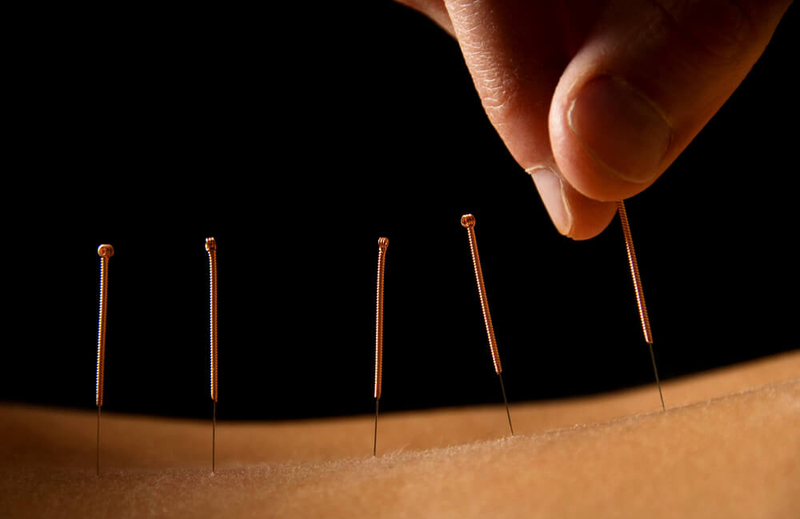 Acupuncture helps to relieve pain by stimulating the release of endorphins. What is Facial Rejuvenation and Cosmetic Acupuncture? Facial Rejuvenation and Cosmetic Acupuncture is a natural and safe method to help reduce signs of aging and improve the overall appearance of your skin. Benefits include: reduction in appearance of fine lines, wrinkles, pores, dark circles under the eye, skin sagging and firmness. The treatment helps through improving blood circulation to the face, stimulating collagen production, toning facial muscles, and lymphatic drainage. Treatments are 75 min in length. Results become more noticeable after 5 to 7 treatments, as effects are cumulative. After each treatment, effects last for 3 to 4 days. For best outcomes, treatment is recommended to be done about twice per week for 3 weeks and then spaced out to once per week. Maintenance can be done every couple of months, varying from person to person.